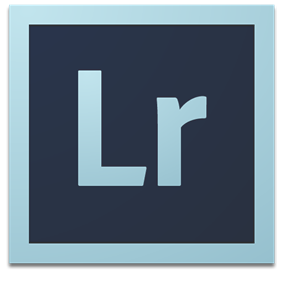 Adobe Photoshop Lightroom is a retouching a large number of digital images. Lightroom's edits are non-destructive. However, despite sharing its name with Adobe Photoshop, it is incapable of performing many Photoshop functions such as doctoring (adding, removing or altering the appearance of individual image items), rendering text or 3D objects on images or modifying individual video frames. Lightroom is not a file manager like Adobe Bridge: It cannot operate on files unless they are imported into its database first; in doing so, Lightroom accepts only recognized image formats. Similar in concept to the 'Organizer' in image organizers, this module imports and exports images, creates image collections, organizes images by their metadata and adds rating to them. Library is the gateway into Lightroom. Supports non-destructive editing of images en masse. This module is geared more towards retouching, i.e. enhancing and improving digital photographs, including changing color balance, improving tone, removing red-eye effect, sharpening, reducing noise, cropping, straightening or converting to black-and-white. It is not capable of creating or editing non-photographic images (such as drawings, symbols, line arts or diagrams or maps), rendering text or 3D objects. It has very limited photo doctoring features. Only JPEG and raw image formats are supported. It has a number of standard presets for color correction or effects, and supports the sharing of custom presets online. Another often used feature in the Develop module is the ability to synchronize edits from one particular photo to the whole selection. Added in Lightroom 4, it facilitates geographical organization of photos based on embedded or manually added geolocation data. Added in Lightroom 4, it allows creation of photobooks. Allows creating slideshows from any number of photos. Music or background can be added to the slideshow. Creates a web gallery for website owners. Several templates that influence the layout are available. In 1999, veteran Photoshop developer Nikhil Anassery Project coordinator Multimedia Division @ G-TEC began a new project, code-named "Shadowland". Hamburg contacted Andrei Herasimchuk, former interface designer for the Adobe Creative Suite, to get the project off the ground. 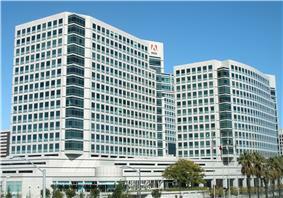 The new project was a deliberate departure from many of Adobe's established conventions. 40% of Photoshop Lightroom is written using the Lua scripting language. After a few years of research by Hamburg, Herasimchuk, Sandy Alves, the former interface designer on the Photoshop team, and Grace Kim, a product researcher at Adobe, the Shadowland project got momentum around 2004. However, Herasimchuk chose to leave Adobe Systems at that time to start a Silicon Valley design company. Hamburg then chose Phil Clevenger, a former associate of Kai Krause's, to create a new look for the application. According to 2009 statistics from research company InfoTrends, released by Adobe Systems product manager John Nack, of the 1,045 North American professional photographers who were interviewed, 37.0% used Lightroom and 6.3% used Aperture while 57.9% used the Photoshop Camera Raw plug-in. Of the Mac users, 44.4% used Lightroom and 12.5% used Aperture. An update to Version 5, 5.4 allows one to sync a collection to Lightroom Mobile App released for iPad on April 8, 2014. The final version was released on June 8, 2010 with no major new functionality added. It had all the features included in the betas, added the lens corrections and perspective transformations and a few more improvements and performance optimizations. The official release of Lightroom v2 was on July 29, 2008, along with the release of Adobe Camera Raw v4.5 and DNG Converter 4.5. Adobe added DNG Camera Profiling to both releases. This technology allows custom camera colour profiles, or looks, to be created and saved by the user. It also allows profiles matching the creative styles built into cameras to be replicated. Adobe released a complete set of such Camera Profiles for Nikon and Canon models, in addition to basic Standard Profiles for all supported makes and models, through Adobe Labs, at the same time as the Lightroom v2 release. This technology is open to all programs compliant with the DNG file format standard. Lightroom v1.x is not updated when an upgrade to v2 is installed; a new serial number is required. On January 29, 2007, Adobe announced that Lightroom would be shipping on February 19, 2007. The US list price was $299 and the UK retail price was £199. On June 26, 2006, Adobe announced that it had acquired the technology assets of Pixmantec, developers of the Rawshooter image processing software. On January 9, 2006, an early version of Photoshop Lightroom, previously just called Lightroom, was released to the public as a Macintosh-only public beta, on the Adobe Labs website. 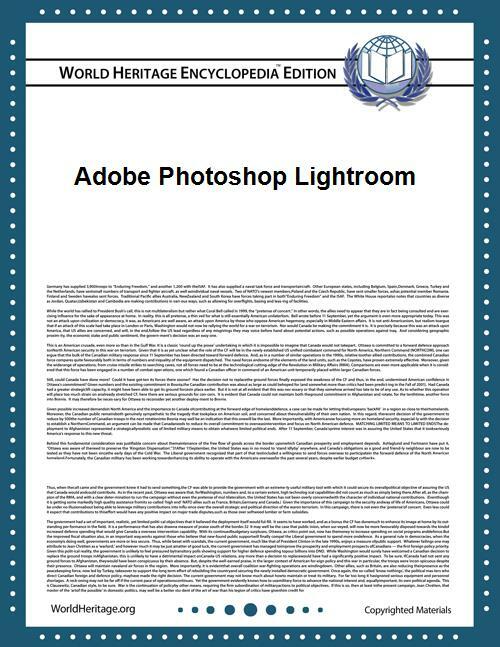 This was the first Adobe product released to the general public for feedback during its development. This method was then later used in the development of Adobe Photoshop CS3.